Perry Clawson is a 1980 graduate of the U.S. Military Academy at West Point and retired as a Colonel after over 30 years of military service in the Army. He commanded units from the platoon to the brigade level and served two combat tours in Iraq. He has a Master of Science Degree in System’s Management from Florida Institute of Technology and a Master of Science Degree in Strategic Studies from the U.S. Army War College. Perry has been retired since 2009 and has served as a Guardian ad Litem since 2013 advocating for over thirty children in that time. 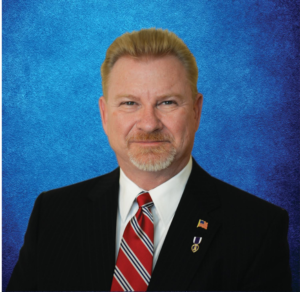 He serves on the board of directors for several organizations to include the 8th Judicial Circuit Guardian ad Litem Board, the Rotary Club of Gainesville, and the Gainesville Fisher House. He has lived in Gainesville, Florida with his wife Kim since 2011.